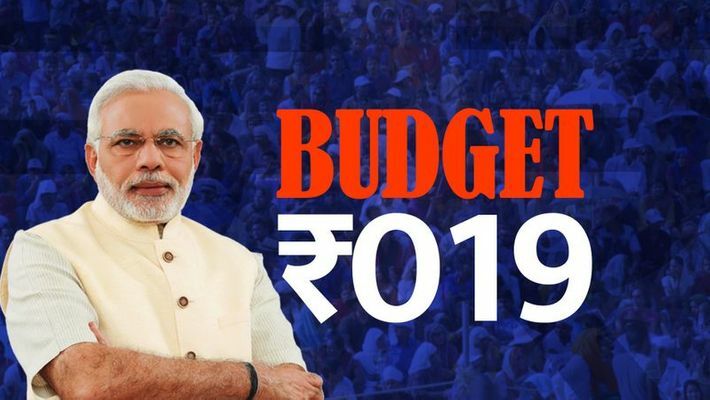 The last budget of the Narendra Modi government will be presented on February 1. Given that the Modi government had brought forward the budget presentation dates, there is no reason for the government to treat this instance as a vote on account. The Parliament is in session till February 13, and there is more than enough time to debate the finance bill and clear it. With Arun Jaitley in the United States for medical treatment, this will be the first time Piyush Goyal will present the Union budget. Given that the government has full leeway to bring out a regular budget, the political significance of the budget increases. Although the Modi government has reduced the importance of annual budgets, stripping them of major policy announcements, the budget still presents an opportunity for the government to address specific constituencies. Any new announcements or placating specific voter constituencies must be seen in the light of the fiscal position. Various agencies are predicting a fiscal deficit bust – Bank of America Merrill Lynch recently predicted fiscal deficit at 3.7%, 40 basis points (bps) higher than the original estimate. The government must evaluate this situation in two ways. Firstly, with the macroeconomic parameters largely stable but less attractive since 2017-18, what would breaching the fiscal deficit mean? Secondly, if the fiscal deficit is likely to be breached, will it then make sense to use a 30-40 bps gap rather than a 5-10 bps breach? Indian macroeconomic position was the best in 2017-18 – the foreign exchange reserves covered for 11.3 months of import, the current account deficit ranged between 0.6% and 2% of the gross domestic product (GDP) between March 2017 and 2018, and the Rupee was stable against the Dollar for the most part. In the past year, fluctuating oil prices and stagnating exports have caused some damage to the macroeconomic stability. Indian foreign reserves are stagnant, now covering about 9.5 months of imports. The Dollar-Rupee equation is settling around the 72 mark. And while the oil prices have cooled down, for the time being, this remains an externality which India does not control. On the positive side, inflation has been benign, to the extent that food prices have been in the deflationary territory. The US Fed may increase rates only twice this year as opposed to four times last year. This may ease the investment flow in India, or at least arrest the capital outflows. The government would have evaluated the implications of overshooting the fiscal deficit target against this mixed backdrop. Eventually, in an election year, political considerations may prevail over those of the economics textbooks. In any case, India’s deficit is financed locally, so there is an alternative thought process that fiscal deficit target – of 3%, globally accepted as a golden number – is perhaps less critical for India. If the government must spend its way into the election, what could be the areas to prioritise? First, a package for the farmers would rank on top. With rural economy sluggish and Congress planting the loan waiver promises – albeit with questionable effectiveness of implementation in Karnataka, Madhya Pradesh, and Punjab – the government would want to take the wind out of opposition sails. A direct cash transfer to poor farmers perhaps remains the only common agreement on budget possibilities across analysts. The program may address small farmers only, with a 1-2 hectare of landowning as the threshold. Second, some direct tax reforms can find their way in the budget. Although a comprehensive direct tax code review is going on, this exercise will likely end only next year. As an interim measure, the government can choose to either raise the taxation threshold or increase the investment limits under Section 80C to let salaried class avail tax exemptions via specific investments. Although the salaried class is always discontent, and often more loudly than everyone else, it also votes for the Bharatiya Janata Party (BJP) often. Third, the government may provide for specific spending measures in the first quarter of the financial year 2019-20. While the new government will tally books later in the year, this government has the leeway to spend more upfront for a quarter. This is achievable via budget announcements for next year, starting the process in February, but paying only after March 31. These expenditures could be on marquee projects, where announcements will take precedence with little over a month to inaugurate and kickstart the implementation. Fourth, there could be some targeted incentives for mid-career salaried class. The limit on National Pension Scheme (NPS) deduction could be increased while giving more tax incentives for senior citizens. This would promote savings by mid and late-career salaried class while making the tax incidence lower when the time comes to use the savings. Fifth, the real estate sector can get some new sops. This sector has been under a cloud since demonetisation. While less cash use for end purchases is good, this has also slowed down new project announcements and general construction activity. Affordable housing has been a key focus area for the government and providing for incentives to buy new houses may also help the sector. With Goyal at the helm in the last few days, there may also be an element of contentious taxation issues being addressed, both in letter and in spirit later. Although the commerce ministry recently issued guidelines on angel tax provisions, early-stage investments in Indian start-ups have certainly been affected. Issues like these and others related to Goods and Services Tax (GST) may get attention, if not rationalisation. The Modi government budgets have shunned profligacy and have been very conservative, to the extent of drawing criticism from the conservative Modi supporters themselves! On this last occasion of his first term, PM Modi may choose to be more political than pedantic.